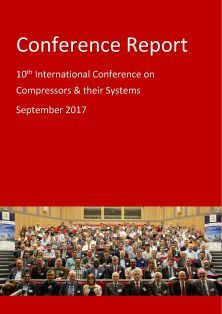 Includes details for conference venues, AV instructions and presentation guidelines for presenters and further details of the published proceedings. The welcome reception on Sunday the 6th September 2015 at 18.00 in City Bar was dedicated to the celebration of the 20th anniversary of the Centre for Positive Displacement Compressors Technology which was formed at City in 1995 with support from the Royal Academy of Engineering and Holroyd, its main aim being to assist British manufacturers of screw compressors. More information..
Link to the Conftool conference management system for submission of abstracts and papers.